src src មកពីពាក្យថា Source Code. វាផ្ទុករាល់ Java Source files. res res តំណាងអោយ Resource file។ វាផ្ទុកនូវ resource files ដូចជា pictures, XML files, ជាដើម។ វាក៏ផ្ទុកនូវ folders បន្ថែមទៀតផងដែរដូចជា Drawable, Layout ហើយនិង Values. onCreate(savedInstanceState: Bundle?) – method ត្រូវបានគេ called ហៅ នៅពេលដែល activity គឺត្រូវបានគេបង្កើតឡើងមុនដំបូងគេ ហើយវាជាទីតាំងសម្រាប់ initialization tasks។ The method is passed an argument in the form of a Bundle object that may contain dynamic state information (typically relating to the state of the user interface) from a prior invocation of the activity. 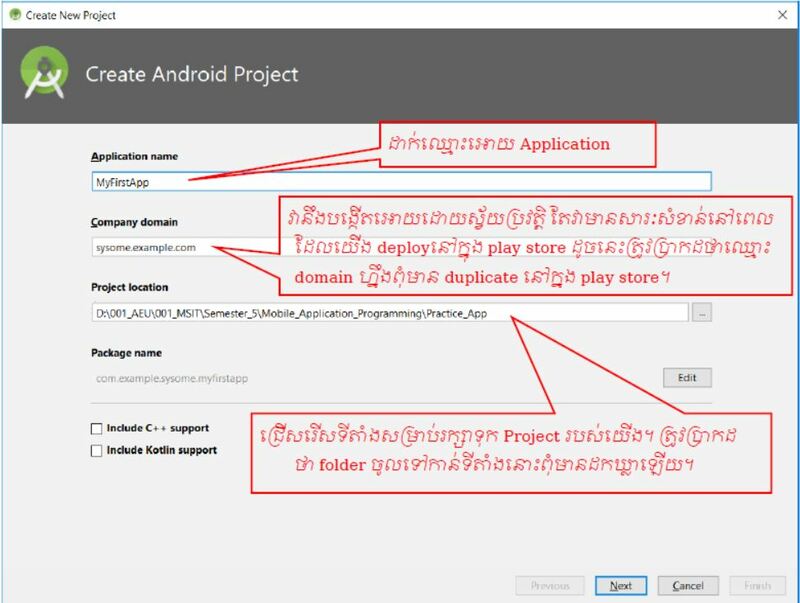 onRestart() – ត្រូវបាន Called នៅពេលដែល activity ត្រូវបាន restart. onPause() – បង្ហាញពី previous activity ដែលវាដំណើរការនៅខាងមុខ activity (foreground activity)។ ការ call method​ នេះ ធ្វើឡើង follow ទៅតាមការ call ទាំង method onResume() និង method onStop() អាស្រ័យទៅលើ activity ហ្នឹង moves back ទៅកាន់ foreground ឬក៏ invisible។​ Steps may be taken within this method to store persistent state information not yet saved by the app. To avoid delays in switching between activities, time consuming operations such as storing data to a database or performing network operations should be avoided within this method. This method should also ensure that any CPU intensive tasks such as animation are stopped. onStop() – Activity គឺត្រូវបានបញ្ឈប់។ The two possible scenarios that may follow this call are a call to onRestart() in the event that the activity moves to the foreground again, or onDestroy() if the activity is being terminated. onDestroy() – The activity is about to be destroyed, either voluntarily because the activity has completed its tasks and has called the finish() method or because the runtime is terminating it either to release memory or due to a configuration change (such as the orientation of the device changing). It is important to note that a call will not always be made to onDestroy() when an activity is terminated. onConfigurationChanged() – Called when a configuration change occurs for which the activity has indicated it is not to be restarted. The method is passed a Configuration object outlining the new device configuration and it is then the responsibility of the activity to react to the change. onRestoreInstanceState(savedInstanceState: Bundle?) – This method is called immediately after a call to the onStart() method in the event that the activity is restarting from a previous invocation in which state was saved. 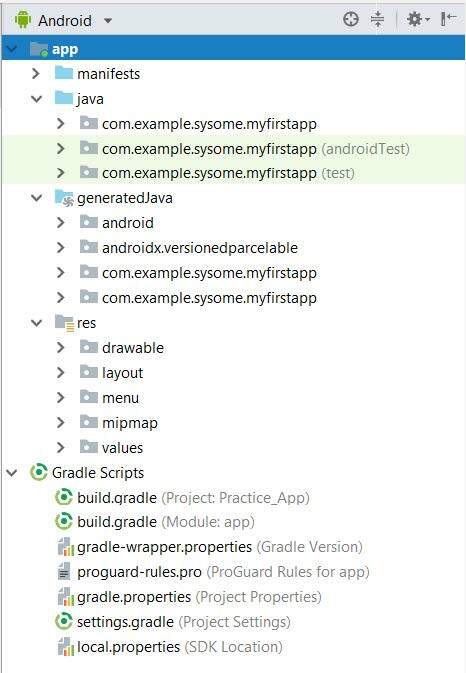 As with onCreate(), this method is passed a Bundle object containing the previous state data. 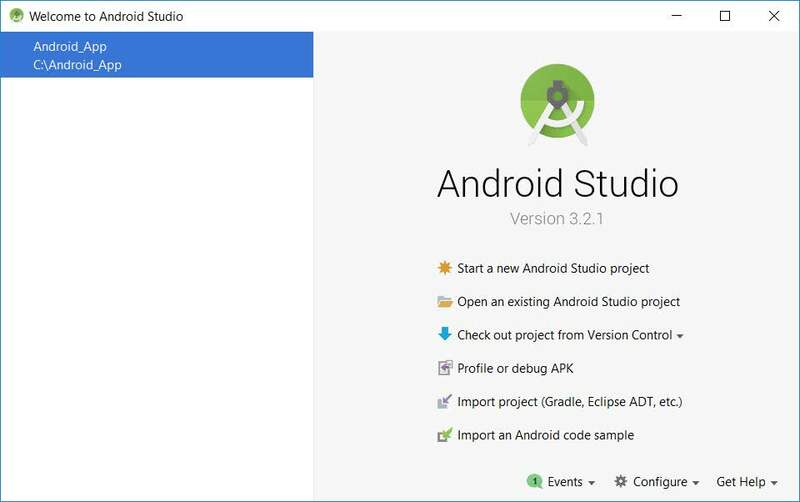 This method is typically used in situations where it makes more sense to restore a previous state after the initialization of the activity has been performed in onCreate() and onStart(). onSaveInstanceState(outState: Bundle?) – Called before an activity is destroyed so that the current dynamic state (usually relating to the user interface) can be saved. 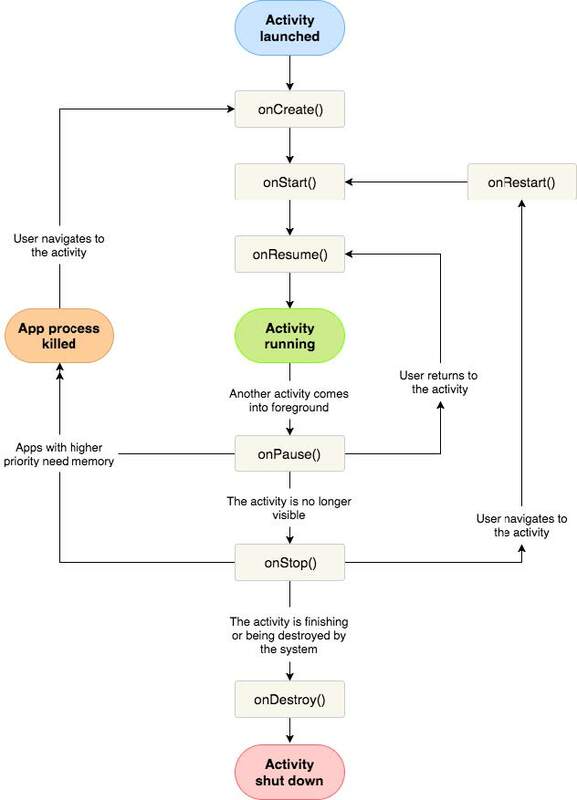 The method is passed the Bundle object into which the state should be saved and which is subsequently passed through to the onCreate() and onRestoreInstanceState() methods when the activity is restarted. Note that this method is only called in situations where the runtime ascertains that dynamic state needs to be saved.